I keep getting an error regarding UNKN0WN_TOKEN_LFTIRESA when I try to use this mod. i'm looking for some Templates to paint the GTI. Maybe somebody can tell me how or if they are available somewhere. Thanks for your help and sry for my english. I have found this one. I was looking for this one, too. I managed to find a rapidshare link. It would be nice if we had some official links. 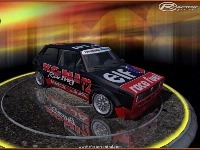 hello, ive got a problem for downloading vw gti mod, please help me. there's no mod downloadable.